With locations across Australia and over 30 years’ experience in the allied health and fitness industry, Allied Fitness Australia is one of the largest providers of Exercise Physiology services in the country. Allied Fitness Australia is a company that specialises in the integration of allied health services with Fitness facilities. We offer three core integrations, which include Exercise Physiology, Physiotherapy and Dietetics. 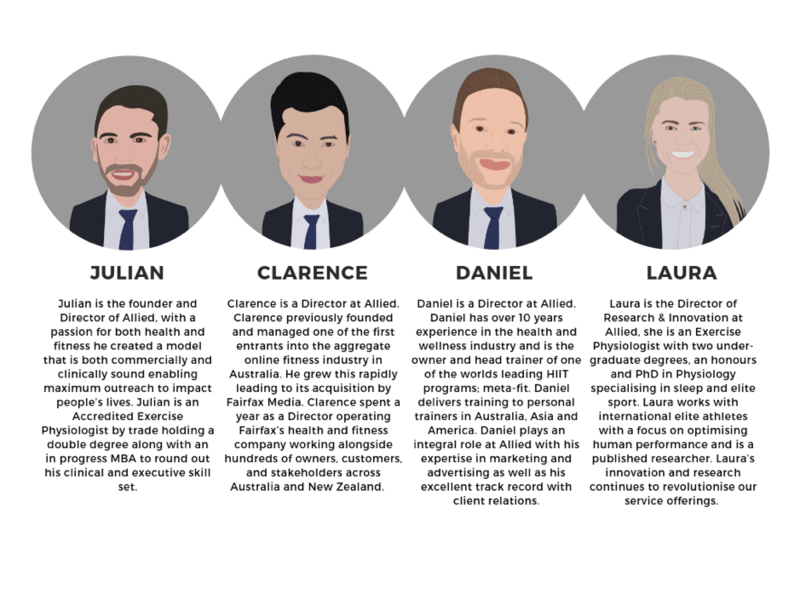 Allied Fitness Australia was founded by a husband and wife couple that are both allied health professionals by trade possessing 4 undergraduate degrees, an honours and PhD between them. The company was born from a simple solution to a problem and grew from humble beginnings in the study of their home during a cold Canberra winter to a company that now has over 70 locations nationally. Prior to officially launching in 2016, the founders committed five years of development and piloting in a variety of fitness settings to perfect the Allied model. The gap in the care cycle within the fitness industry coupled with a growing health conscious population that is living longer allowed Allied Fitness Australia to appoint a robust board of Directors to offer a unique model where integration is at the forefront of all interactions to allow for a greater level of member care, continuity and longevity.